Thank you for visiting the Videotron Centre's website. Please read the terms and conditions set forth below carefully as they contain the legal terms that govern your use of any Website or Web page operated (collectively "Website") or provided by the Videotron Centre. The terms and conditions may be modified BY the Videotron Centre from time to time in its sole discretion so please return to the terms and conditions from time to time to review them. Your use of the Website means that you accept any and all changes. If you do not agree with any of the terms and conditions you may not use this Website. 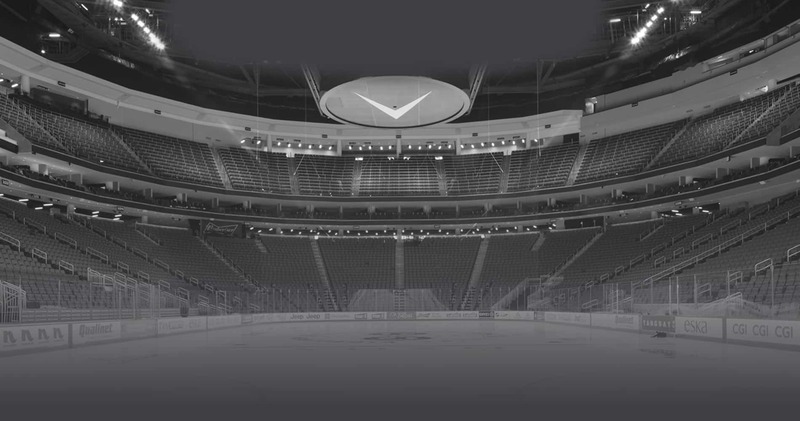 The Videotron Centre endeavors to include accurate and up-to-date information on its Website. However, The Videotron Centre offers no guarantees, express or implied, as to the accuracy or completeness of the information contained or referenced therein. All users accept that all access to and use of the Website, and any site linked to the Website, and the content thereof, is at their own risk. The Website is operated in the Canada in the provinces of Ontario and Quebec. The Videotron Centre does not represent that content or materials presented on the Website are appropriate or available for use in other locations or jurisdictions. If you access the Website from a jurisdiction other than Canada, you agree that you do so on your own initiative, and are responsible for compliance with local laws. All copyright rights in the text, images, photographs, graphics, user interface, and other content provided on the Website, and the selection, coordination, and arrangement of such content, are owned by the Videotron Centre, or its third-party licensors, to the full extent provided under the Canadian copyright laws and all international copyright laws. Under applicable copyright laws, you are prohibited from copying, reproducing, modifying, distributing, displaying, performing, storing in any retrieval system or transmitting any of the contents of the Website for any purposes. Nothing stated or implied on the Website confers on you any license or right under any copyright of the Videotron Centre or any third party. The Website and the information contained therein is for informational purposes only. 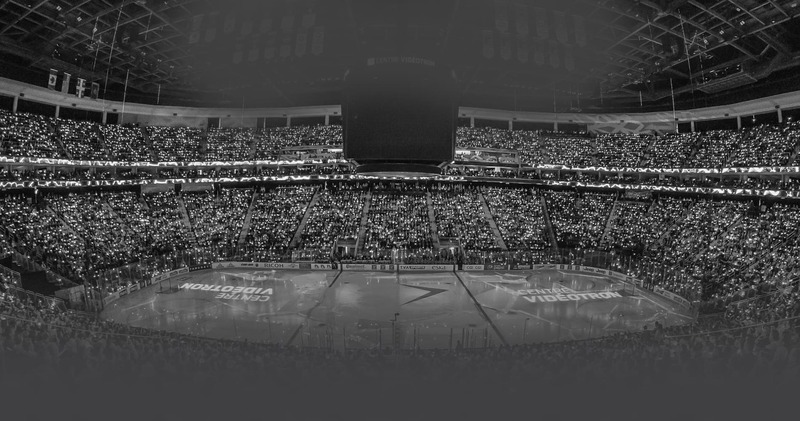 Any reproduction, distribution, display, performance, copying, or redistribution for commercial purposes of any materials or design elements of the Website is strictly prohibited, without the prior written consent of the Videotron Centre. Systematic retrieval of data or other content from the Website to create or compile, directly or indirectly, a collection, compilation, database or directory without written permission from the Videotron Centre Network is prohibited. All rights in the product names, company names, trade names, logos, product packaging and designs of the Videotron Centre or third-party products or services, whether or not appearing in large print or with the trademark symbol, belong exclusively to the Videotron Centre or their respective owners, and are protected from reproduction, imitation, dilution or confusing or misleading uses under national and international trademark and copyright laws, as applicable. The use or misuse of these trademarks or any materials, except as permitted herein, is expressly prohibited and nothing stated or implied on this Website confers on you any license or right under any patent, copyright or trademark of the Videotron Centre or any third party. This Website may contain links to other services or sites ("Linked Services"). The Linked Services are independent of the Videotron Centre are not under the control of the Videotron Centre. The Videotron Centre is not responsible for the contents of the Linked Services, including, without limitation, links contained on Linked Services, or any changes or updates to Linked Services. The Videotron Centre provides Linked Services to you only as a convenience, and the inclusion of any such Linked Services is not an endorsement by the Videotron Centre in favor of any company offering Internet services, products or services on the Linked Services. Any third party website with permission that links to the Website: shall not create a frame, browser or border environment around any of the content of the Website; may link to, but not replicate, Website content; shall not imply that the Videotron Centre endorses or sponsors it or its products or services; shall not present false information about the Videotron Centre or its products or services; shall not use the Videotron Centre trademarks without the prior written permission from the Videotron Centre; and shall not contain content that could be construed as distasteful, offensive or controversial. Notwithstanding anything to the contrary contained in this Agreement, we reserve the right to deny or rescind permission to link to the Website, and to require termination of any link to the Website, for any reason in our sole and absolute discretion. You are required to comply with all applicable laws in connection with your use of the Website and such further limitations as may be set forth below and in any written or on-screen notice from the Videotron Centre. You may not use the Website for any purpose that is unlawful or prohibited by the terms and conditions or that harms the Videotron Centre, its affiliates, its service providers, suppliers or customers. 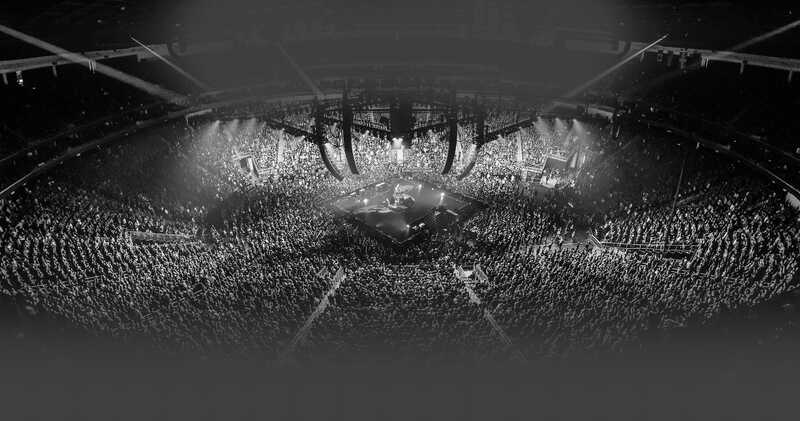 Without limiting the foregoing, you agree not to transmit, distribute, post, communicate or store information or other material on, to or through the Website that: is copyrighted, unless you are the copyright owner or valid licensee to such materials and you have the right to grant the Videotron Centre the rights and licenses set forth in Section 19 below; reveals trade secrets, unless you own them, or you are the valid licensee to such materials and you have the right to grant the Videotron Centre the rights and licenses set forth in Section 19 below; infringes on any other intellectual property rights of others or on the privacy or publicity rights of others; is obscene, defamatory, threatening, harassing, abusive, hateful, or embarrassing to any other person or entity or in violation of applicable law as determined by the Videotron Centre in its sole discretion; is sexually-explicit; constitutes advertisements or solicitations of business, surveys, contests, chain letters or pyramid schemes; or contains viruses, Trojan Horses, worms, time bombs, or other computer programming routines or engines that are intended to damage, detrimentally interfere with, surreptitiously intercept or expropriate any system, data or information. You further agree not to: use any incomplete, false or inaccurate biographical information or other information for purposes of registering as a user of the Website, or for purposes of registering for any promotions offered through the Website; delete or revise any material or other information of any other user of the Website; harvest, collect, or send information about others, including e-mail addresses, without their consent; take any action that imposes an unreasonable or disproportionately large load on the Website¹s infrastructure; use any device, software or routine to interfere or attempt to interfere with the proper working of the Website or any activity being conducted on this Website; use or attempt to use any engine, software, tool, agent or other device or mechanism (including without limitation browsers, spiders, robots, avatar¹s or intelligent agents) to navigate or search the Website to harvest or otherwise collect information to be used for any commercial purpose; allow any other person or entity to use your username or password for posting or viewing comments or sending or receiving materials; or attempt to decipher, decompile, disassemble or reverse engineer any of the software comprising or in any way making up a part of the Website. You further agree not to violate or attempt to violate the security of the Website, including, without limitation: accessing data not intended for you or logging into a server or account that you are not authorized to access; attempting to probe, scan or test the vulnerability of a system or network or to breach security or authentication measures without proper authorization; attempting to interfere with service to any user, host or network, including, without limitation, by way of submitting a virus to, or overloading, "flooding", "spamming", "mail bombing" or "crashing" the Website; sending unsolicited e-mail, including promotions and/or advertising of products or services; or forging any TCP/IP packet header or any part of the header information in any e-mail or posting. Violations of system or network security may result in civil or criminal liability. The Videotron Centre may investigate occurrences that may involve such violations and may involve, and cooperate with, law enforcement authorities in prosecuting users who are involved in such violations. The Videotron Centre reserves the right (but does not have the obligation) to review postings on the Website, to remove any postings, and to terminate your ability to post to the Website at any time without notice, in its sole discretion. The Videotron Centre also reserves the right to disclose any information necessary to satisfy any applicable law, regulation, legal process or governmental request, or to edit, refuse to post or to remove any information or materials, in whole or in part. without the express prior written consent of the Videotron Centre any advertising or any solicitation with respect to products or services (unless posted in an area specifically designated for that purpose). 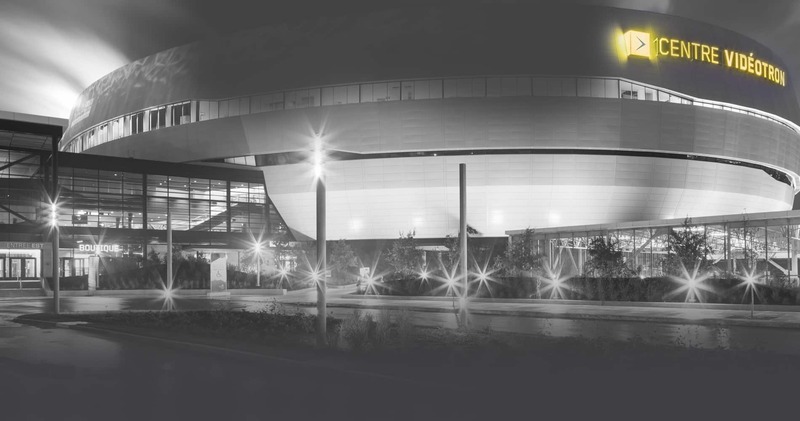 Although the Videotron Centre does not and cannot review every message posted on or transmitted through the Website, the Videotron Centre have no obligation to permit any material posted or transmitted to remain on the Website, and may remove from, or refuse to display on the Website any material that the Videotron Centre, in the exercise of its sole discretion, believes violates the terms and conditions. By posting or submitting Your Content to this Service, you also represent and warrant that you own or otherwise control all of the rights to Your Content, and that use of Your Content by the Videotron Centre will not infringe or violate the rights of any third party or constitute violation of any applicable law. If you believe that a work has been copied and is accessible on this Website in a way that constitutes copyright infringement, please provide the Videotron Centre Copyright Agent with the following information by written notice by fax to 416-947-2209: identification of the copyrighted work claimed to have been infringed; identification of the allegedly infringing material on the Website that is requested to be removed; your name, address and daytime telephone number, and an e-mail address if available, so that someone from the Videotron Centre may contact you if necessary; a statement that you have a good faith belief that the use of the copyrighted work is not authorized by the copyright owner, its agent, or the law; a statement that the information in the notification is accurate, and under penalty of perjury, that the signatory is the owner or is authorized to act on behalf of the owner of an exclusive copyright right that is allegedly infringed; and an electronic or physical signature of the copyright owner or someone authorized on the owner¹s behalf to assert infringement of copyright and to submit the statement. The Videotron Centre reserves the right to remove any posted submission which infringes the copyright of any person under the laws of Canada upon receipt of such a statement. Registration may be required for the use of certain portions of the Website. Your registration shall not impose any duty on us to provide any particular service to you. If the terms of any the Videotron Centre registration agreement conflict with these terms and conditions, the registration agreement shall govern. Your User Identity (your username and password) will be your identity for purposes of interacting with the Website and other users through the Website. You shall keep confidential, shall not disseminate, and shall use solely in accordance with the terms and conditions your User Identity. You shall immediately notify the Videotron Centre if you learn of or suspect any loss, theft or unauthorized use of your User Identity. In the event of such loss, theft, or unauthorized use, the Videotron Centre may impose on you, at its sole discretion, additional security obligations. If any unauthorized person obtains access to the Website as a result of any act or omission by you, you shall use your best efforts to ascertain the source and manner of acquisition and shall fully and promptly notify the Videotron Centre. You shall otherwise cooperate and assist in any investigation relating to any such unauthorized access. THE WEBSITE IS PROVIDED "AS IS." THE VIDEOTRON CENTRE MAKES NO REPRESENTATION OR WARRANTY OF ANY KIND WHATSOEVER TO YOU OR ANY OTHER PERSON RELATING IN ANY WAY TO THE WEBSITE, INCLUDING ANY PART THEREOF, OR OTHER CONTENT OR SERVICE THAT MAY BE ACCESSIBLE DIRECTLY OR INDIRECTLY THROUGH THE WEBSITE. THE VIDEOTRON CENTRE DISCLAIMS TO THE MAXIMUM EXTENT PERMITTED BY LAW, ANY AND ALL SUCH REPRESENTATIONS AND WARRANTIES. WITHOUT LIMITING THE GENERALITY OF THE FOREGOING, THE VIDEOTRON CENTRE DISCLAIMS TO THE MAXIMUM EXTENT PERMITTED BY LAW ANY AND ALL (i)WARRANTIES OF MERCHANTABILITY OR FITNESS FOR A PARTICULAR PURPOSE, (ii) WARRANTIES AGAINST INFRINGEMENT OF ANY THIRD PARTY INTELLECTUAL PROPERTY OR PROPRIETARY RIGHTS, (iii) WARRANTIES RELATING TO DELAYS, INTERRUPTIONS, ERRORS, OR OMISSIONS IN THE WEBSITE, OR ANY PART THEREOF, (iv) WARRANTIES RELATING TO THE TRANSMISSION OR DELIVERY OF THE WEBSITE, (v) WARRANTIES RELATING TO THE ACCURACY OR CORRECTNESS OF DATA, AND (vi) WARRANTIES OTHERWISE RELATING TO PERFORMANCE, NONPERFORMANCE, OR OTHER ACTS OR OMISSIONS BY THE VIDEOTRON CENTRE OR ANY THIRD PARTY. FURTHER, AND WITHOUT LIMITING THE GENERALITY OF ANY OF THE FOREGOING, THERE IS NO WARRANTY THAT THE WEBSITE WILL MEET YOUR NEEDS OR REQUIREMENTS OR THE NEEDS OR REQUIREMENTS OF ANY OTHER PERSON. THE VIDEOTRON CENTRE MAKES NO WARRANTIES OR REPRESENTATIONS, EXPRESS OR IMPLIED, THAT THE INFORMATION PROVIDED THROUGH THE WEBSITE WILL BE FREE FROM ERROR, OMISSION, INTERRUPTION, DEFECT, OR DELAY IN OPERATION. ANY INFORMATION ON THIS WEBSITE IS SUBJECT TO CHANGE WITHOUT NOTICE, AND WE DISCLAIM ALL RESPONSIBILITY FOR THESE CHANGES, INCLUDING, BUT NOT LIMITED TO, CHANGES TO PRICES, DISCOUNTS, AND HOURS OF OPERATION. IN NO EVENT WILL THE VIDEOTRON CENTRE OR ITS AFFILIATES, OR ANY PERSON OR PARTY INVOLVED IN CREATING, PRODUCING OR DELIVERING THIS WEBSITE, OR ON ANY SITE LINKED TO THIS WEBSITE, BE LIABLE IN ANY MANNER WHATSOEVER FOR ANY DIRECT, INCIDENTAL, CONSEQUENTIAL, (INCLUDING LOST PROFITS, LOSS OF BUSINESS OR DATA, BUSINESS INTERRUPTION, TRADING LOSSES) INDIRECT, SPECIAL, EXEMPLARY OR PUNITIVE DAMAGES ARISING OUT OF OR IN AN ANY WAY RELATED TO THE WEBSITE OR ANY SITE LINKED TO THE WEBSITE OR YOUR ACCESS, USE OR INABILITY TO USE THE WEBSITE OR ANY SITE LINKED TO THE WEBSITE, OR IN CONNECTION WITH ANY FAILURE OF PERFORMANCE, ERROR, OMISSION, INTERRUPTION, DEFECT, DELAY IN OPERATION OR TRANSMISSION, COMPUTER VIRUS OR LINE OR SYSTEM FAILURE. THE ABOVE SHALL APPLY EVEN IF THE VIDEOTRON CENTRE OR ANY THIRD PARTY HAS BEEN ADVISED OF THE POSSIBILITY OF SUCH DAMAGES OR LOSSES. THE VIDEOTRON CENTRE RESERVES THE RIGHT TO ALTER THE CONTENT OF THE WEBSITE IN ANY WAY, AT ANY TIME, FOR ANY REASON, WITHOUT PRIOR NOTIFICATION, AND WILL NOT BE LIABLE IN ANY WAY FOR POSSIBLE CONSEQUENCES OF SUCH CHANGES. THE LIMITATIONS OF LIABILITIES APPLY WHETHER THE ALLEGED LIABILITY IS BASED ON CONTRACT, TORT, NEGLIGENCE, STRICT LIABILITY, OR ANY OTHER BASIS, EVEN IF THE VIDEOTRON CENTRE OR ANY THIRD PARTY HAVE BEEN ADVISED OF THE POSSIBILITY OF SUCH DAMAGE. BECAUSE SOME JURISDICTIONS DO NOT ALLOW THE EXCLUSION OR LIMITATION OF INCIDENTAL OR CONSEQUENTIAL DAMAGES, THE VIDEOTRON CENTRE LIABILITY IN SUCH JURISDICTIONS SHALL BE LIMITED TO THE EXTENT PERMITTED BY LAW. IN NO EVENT SHALL THE VIDEOTRON CENTRE TOTAL LIABILITY TO YOU FOR ALL DAMAGES, LOSSES, OR CAUSES OF ACTION ONE HUNDRED DOLLARS ($100.00) IN CANADIAN CURRENCY. Upon a request by the Videotron Centre, you agree to indemnify and hold harmless the Videotron Centre and its respective subsidiaries, affiliates, directors, officers, agents, licensors, co-branders or other partners and employees from and against all liabilities, claims and expenses, including legal fees and disbursements on a substantial indemnity basis, made by any third party due to or arising out of your conduct including content you submit, post to or transmit through the Website, your use of the Website, your violation of the terms and conditions or your violation of any rights of another. This Agreement shall be governed solely by and construed in accordance with the laws of the Province of Quebec, excluding its conflict of law rules. You expressly and irrevocably consent and agree to submit to the exclusive jurisdiction and venue of the courts in the Province of Quebec in all disputes arising out of or relating to the use of the Website. YOU HEREBY WAIVE ANY RIGHT TO COMMENCE OR PARTICIPATE IN ANY CLASS ACTION AGAINST VIDEOTRON CENTRE OR ITS AFFILIATES OR ANY THIRD PARTY RELATING TO THE WEBISTE, THESE TERMS AND CONDITIONS OR ANY RELATED MATER. Except for other agreements you may enter into through use of a specific part of the Website, these terms and conditions constitute the entire agreement between you and the Videotron Centre and governs your use of this Service, superseding any prior or contemporaneous communications and proposals (whether oral, written or electronic) between you and the Videotron Centre. If any portion of the terms and conditions is held invalid or unenforceable, that portion shall be construed in a manner consistent with applicable law to reflect, as nearly as possible, the original intention of the parties, and the remaining portions shall remain in full force and effect. The terms and conditions may be modified only by our posting on the Website changes to the terms and conditions or by a subsequent writing signed by the Videotron Centre. The failure of the Videotron Centre to enforce any provisions of the terms and conditions or respond to a breach by you or other parties shall not in any way waive its right to enforce subsequently any of the terms or conditions or to act with respect to similar breaches. Any information supplied by any employee or agent of the Videotron Centre whether by telephone, e-mail, letter, facsimile or other form of communication, is intended solely as general guidance on the use of the Website, and does not constitute legal, tax, accounting or other professional advice and may not be relied on to base any claim or action. Individual situations and provincial laws vary and users are encouraged to obtain appropriate advice from qualified professionals in the applicable jurisdictions. The Videotron Centre makes no representations or warranties concerning any course of action taken by any person following or otherwise using the information offered or provided within or through the Website. Sections 26-30 above apply to this section. References to the Videotron Centre in the terms and conditions shall include all of the Videotron Centre affiliates and all of its and their directors, officers, shareholders, employees, agents, advisers, suppliers and insurers. You are prohibited from assigning your rights and obligations under the terms and conditions. The Videotron Centre may assign its rights and obligations in its sole discretion at any time or times, in whole or in part, without notice to you. Nothing contained in the terms and conditions is in derogation of the Videotron Centre right and obligation to comply with governmental, court and law enforcement requests or requirements relating to your use of the Website. A printed version of the terms and conditions and of any notice given in electronic form shall be admissible in judicial or administrative proceedings based upon or relating to the terms and conditions to the same extent and subject to the same conditions as other business documents and records originally generated and maintained in printed form. The section titles used in the terms and conditions are for convenience only and have no legal or contractual significance. Where the context permits all words in the singular shall include the plural and vice versa. The Videotron Centre reserves the right, in its sole discretion, to terminate your access to all or part of the Website, with or without notice and with or without cause. Termination of your access to the Website means the revocation of the limited and temporary license and permission to use the software and other resources of the Website granted to you under the terms and conditions by the Videotron Centre. The provisions of the terms and conditions survive the termination of your access to the Website. You are prohibited from terminating your rights and obligations under the terms and conditions. The Videotron Centre may give notices to users of the Website, at its option, by posting a message on the Website, by electronic or conventional mail or by any other means by which users obtain actual knowledge thereof. Notices by users to the Videotron Centre must be given by electronic or conventional mail. Notices to the Videotron Centre by electronic mail must be sent by accessing the Videotron Centre online feedback page.